The Security Industry Authority (SIA) is a government supported organisation tasked with improving and maintaining standards in the Security Industry. 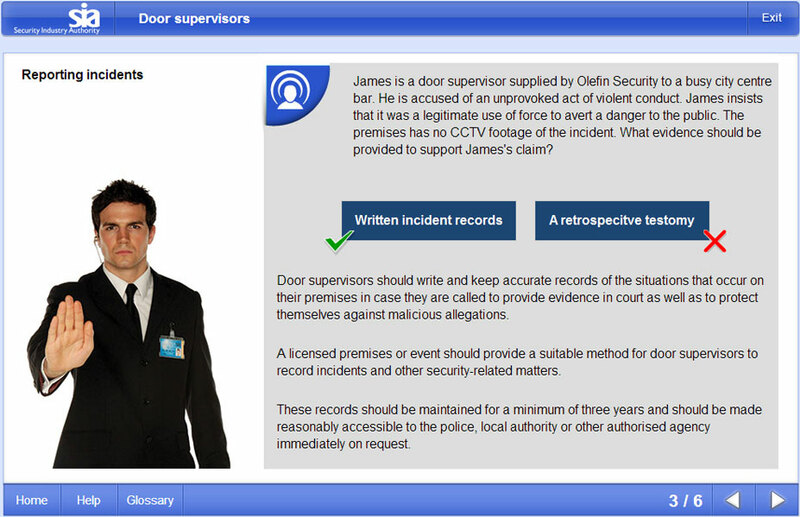 After many successful projects aimed at security operatives, the SIA devised a scheme to help small security businesses. The SIA wanted a series of e-learning modules intended to assist small business in working on line with the general principles of British Standards associated with their area of work. The British Standards Institute (BSI) produces standards for almost every industry. Sometimes these standards can be difficult for small business to achieve due to the limited resources they have. The e-learning courses proposed by the SIA seek to address this by providing a large amount of training in an easy to use format. 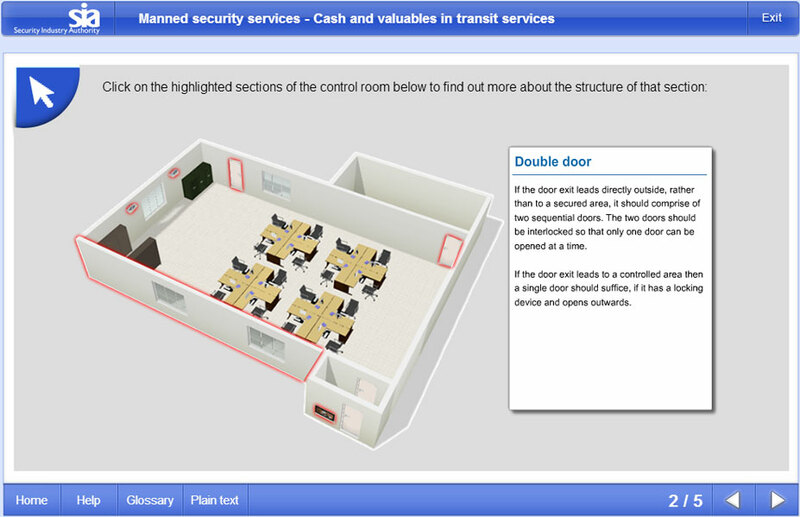 Highfield e-learning called on it’s expertise in the security industry to produce 7 e-learning programmes for the SIA. Developed in HTML to ensure compliance with the accessibility requirements of central government, these courses were developed and rigorously tested throughout 2013. These courses form part of the SIA’s approved contractor scheme and will be an essential component in raising the standards in the Security industry over the coming years.